Ever felt like you wanted to start an anime but find yourself not having enough time for it? Or do you have a friend who you would like to get started on an anime, but they’re unable to relate to it? The writers for these anime have managed to take a concept, present their thoughts in a short amount of time, and create relatable anime. No more excuses about long runtimes or concepts that are too difficult to relate to. The “slice-of-life” genre of anime picks up on various aspects of day-to-day tasks and interactions. It exaggerates one particular concept and builds a story from there with some light hearted comic relief for good measure. The average length of an episode of anime is approximately 23 minutes long. This is a considerable amount of time in one’s day, which is perhaps the reason why animators have chosen to produce short clips between 2 to 8 minutes long — the perfect length for break time enjoyment. This anime focuses on the married life of Kaoru, an office lady, and Takashi, her otaku obsessed husband. What’s unique about this series is the number of anime references it touches on per episode. The creators’ ability to adapt both verbal and illustration styles from different genres is impressive. I Can’t Understand What My Husband is Saying ran for 2 full seasons and, despite the short individual episode length, the writers have managed to introduce a large amount of characters and have allowed viewers to experience and grow with the 2 protagonists over the course of time. 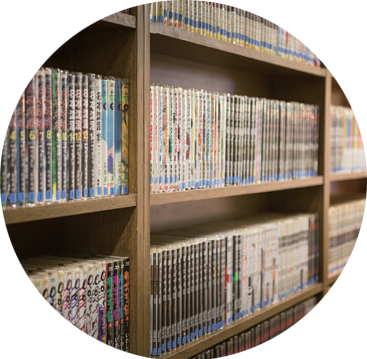 This is a good introduction to the lifestyle of an otaku from an outsider’s perspective. This light-hearted anime is shown from Kaoru and her friends’ perspective of a lifestyle that is quite foreign to their own. If you are an otaku, you will enjoy trying to catch as many different references as you can while watching this anime. Meeting people from all walks of life is an integral part of social interaction. It does not matter if the networking aspect is in real life or online as it helps to develop a deeper sense of individuality and understanding. The people that we meet in our lives may have drastically different views and lifestyles in comparison to our own and that is what makes our lives vibrant and fulfilling. 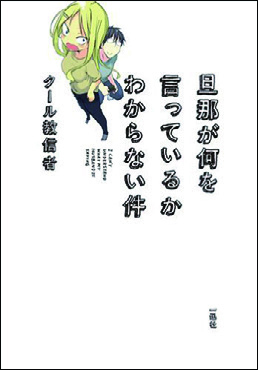 This anime is depicted from the viewpoint of Rumi Yokoi, the main character, who sits next to Toshinari Seki in class. Yokoi is often distracted by the activities that Seki is involved in during class and often narrates the on goings in her head while observing the scene. 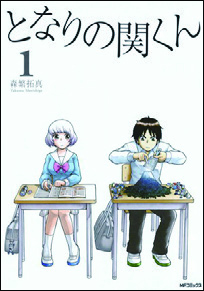 Seki has the ability to transform regular objects such as stationery into complex games during class time, and more often than not, despite Yokoi’s continuous attempts to concentrate in class or getting Seki to focus on class, Yokoi often finds herself an unwilling participant in those games. Despite Seki’s large scale creations and the entertainment he provides, it seems that Yokoi is the only person in the whole class that notices what is going on. In such short episodes, the writers are still able to involve other classmates and build them into Yokoi and Seki’s life outside of Seki’s creative imagination and games. During the more boring parts of school life, there are times where we would consider entertaining ourselves with what is available to us. This anime seems more likely to exist in our imaginations as carrying out the activities described in this anime would probably be a logistical nightmare. 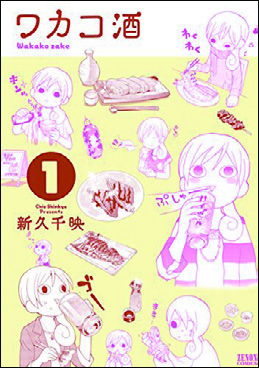 Wakakozake revolves around Wakako, an office lady who spends her time alone after work enjoying food with sake. Each episode is only 2 minutes long, and focuses on a Japanese dish and with an alcohol pairing. Despite the short running time, the amount of expression and delight that is conveyed is wonderful. With Wakako’s first bite of food, sip of alcohol and sigh of enjoyment, you can feel her stresses wash away, taking your troubles along with them. A word of warning — this anime may bring on extreme food cravings. The best part about this anime is its attention to detail in illustrating the dishes served up. From the onset, you will notice that the focus is mainly on the food and alcohol pairing. For example, seafood is usually served with hot sake, whilst fried food with beer. I would consider this a highly relatable anime with great tips on how to enjoy food with alcoholic beverages. This anime may make you want to head out to the closest izakaya (Japanese pub) to start trying some of the more traditional Japanese dishes. 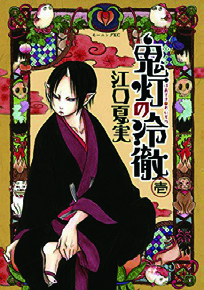 The protagonist in this series is a high level administrative officer in Hell named Hozuki, who supports Enma, the king of Hell. The relationship between both characters is similar to that of an operations manager with a company director. Each episode is generally split into 2 stories that covers topics involving situations at work such as: personal relationships between superiors and subordinates, hiring processes, and the work/life balance. The idea that hell is run like a large corporation with multiple departments is a novel concept which the writers have done a great job with. One of the many topics this anime illustrates is international company exchange programs. This can be seen when satan from European Hell visits and discusses the cultural differences between Eastern and Western worlds. Exchange programs between administrative managers happens frequently throughout the series, often resulting in cultural shock due to their differences. Training is also depicted in this anime. This is provided to the staff by subject matter experts, and allows for skill development of current employees to provide better service and success in various job fields. We may often find ourselves living a real-life version of this universe and many aspects of this anime are quite relatable. In the workplace, we may be met with familiar situations such as understaffing and attempts to keep a good work/life balance. This anime manages to touch on subjects in a light hearted and comical manner that is close to our hearts.